Looks like an innocent CD music single packaging for upcoming stealth game Metal Gear Solid: Peace Walker, right? It's so not. 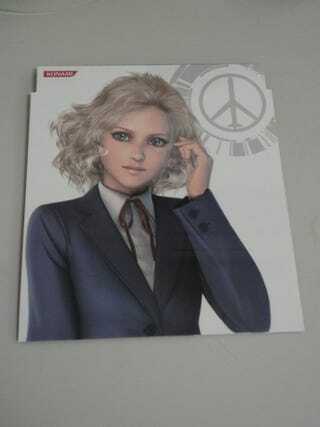 The CD packaging for "Love Deterrence", the character theme for PW heroine Paz, has a slip cover. It can be slipped off. ...to reveal this! Peace Walker allows players to see through the clothes of characters. CD single covers, too!